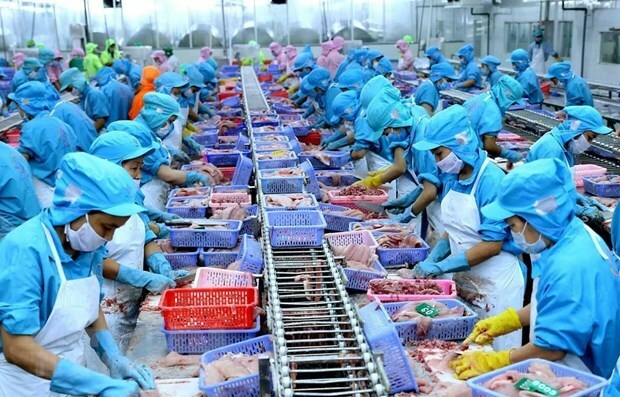 Can Tho (VNA) - The Comprehensive and Progressive Agreement for Trans-Pacific Partnership (CPTPP) is expected to help Vietnam continue speeding up its reforms in order to tap opportunities and deal with challenges from the deal. With the textile and garment industry, the export tax rate on textiles and garments to markets that do not yet have a common FTA is currently above 10 percent on average. When the CPTPP took effect, Vietnamese garment and textile products which meet with common technical standards would enjoy a zero tax rate. The sector would be strengthened with competitive advantages in price. It is also a motivation for domestic and foreign investors to invest in developing raw materials and support industries in Vietnam. It would establish links in the garment and textile chain more effectively, creating a foundation for the industry to develop sustainably.